1846. 4-arch viaduct with buttressed approach from W and quadrant approach from E. Rock-faced piers and spandrels with droved ashlar soffits; voussoirs; flat-coped parapet. 2 arches to right part-blocked with rubble and centre doors. The Edinburgh & Northern Railway was opened in 1847. 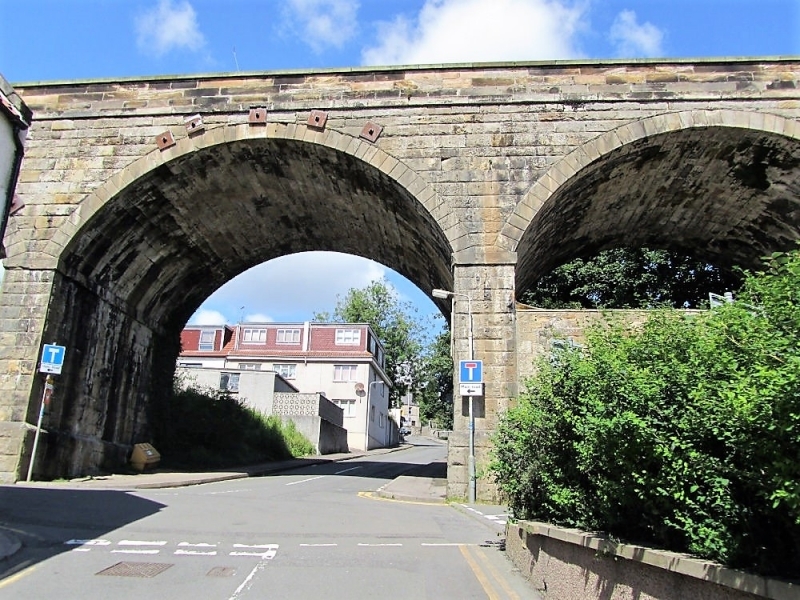 The viaduct cuts an impressive swathe through Kinghorn.